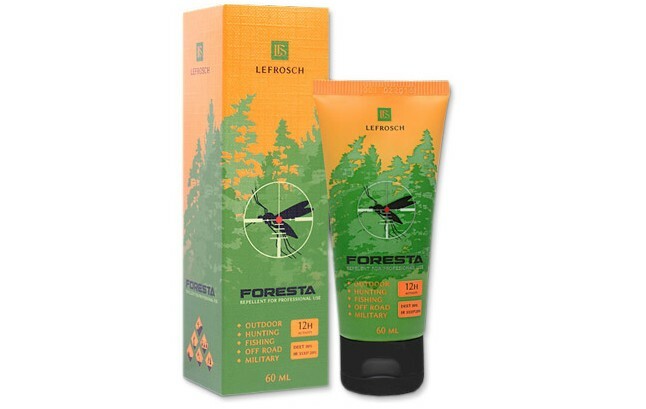 Lefrosch FORESTA Insect Repellent (Cream Tube 60ml). FORESTA is a long acting effective insect repellent in the form of a liquid cream, intended for effective protection against mosquitoes in harsh outdoor conditions. 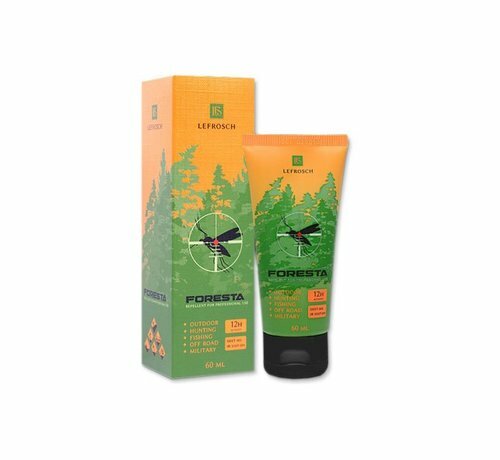 The high efficiency and long duration of activity (up to 12 hours ) is achieved by the use of the two active anit-mosquito substances with a high concentration: DEET 30% and IR3535® 20%. DEET is the most widely used insect repellent against mosquitoes, flies, horse flies, ticks and tsetse flies. 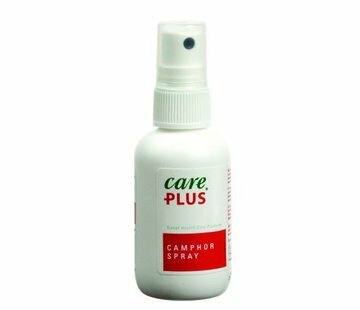 IR3535® (Insect Repellent 3535) is an insect repellent against mosquitoes, ticks, horse flies and flies (potentially works also against lice, bees and wasps). Heavier, more greasy surface ensures durability and longer time of the application. 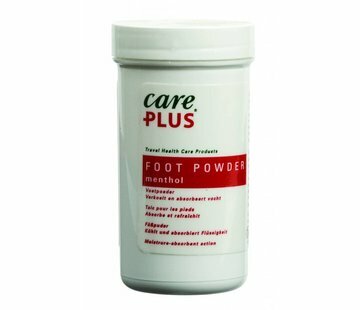 Because the product is in the form of a cream the active compounds are released slowly and remain on the skin for longer duration thus extending protection time.